A weekly newsletter for Pacific Standard Premium members. 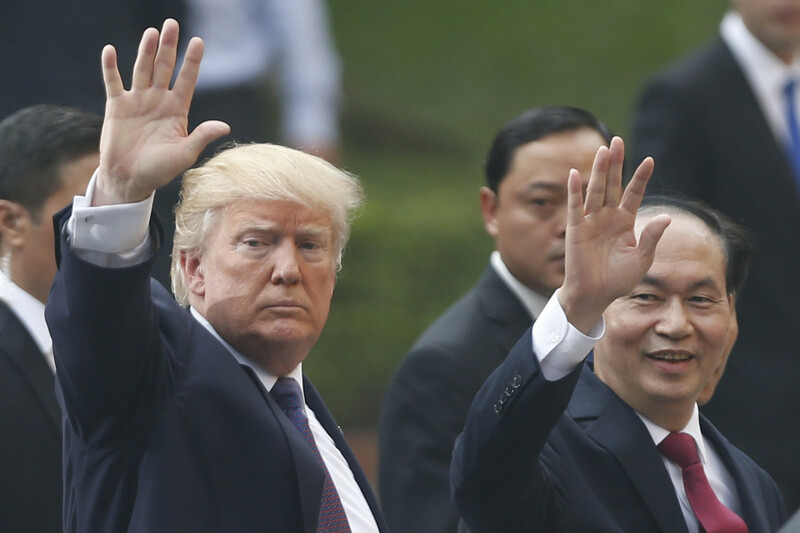 President Donald Trump and Vietnam&apos;s President Tran Dai Quang leaves a press conference at the Presidential Palace in Hanoi on November 12th, 2017. 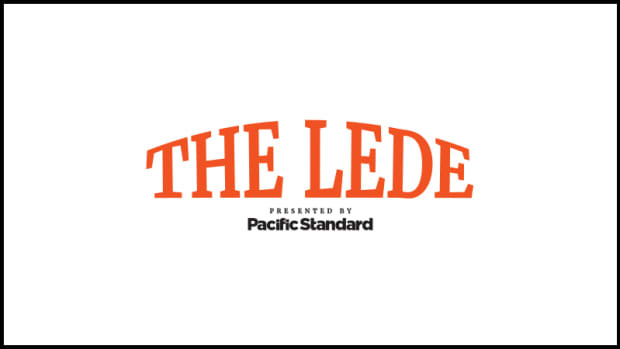 On this episode of The Edit we spoke with Pacific Standard contributing writer Massoud Hayoun about immigration in the Trump era, a growing Vietnamese refugee crisis, and the geopolitical implications of the United States government enacting more isolationist polices. You can receive every new episode of The Edit as soon as they become available by subscribing to the podcast on iTunes, Spotify, or SoundCloud. Every episode is also available for Premium members here. Premium members receive early access to our feature stories. This weekend, spend some time with our 7,000-word story about what happens when your brother is the new face of the white nationalist movement, which won&apos;t be released to a wider audience until next week. My Brother, the White Nationalist: When your brother is the new face of the white nationalist movement, finding the roots of radicalization becomes personal. The annual Association of Writers & Writing Programs conference is a pageant of literary celebrities, late-night dance parties, and, of course, swag. But if you look at all closely, AWP can also be a stew of neurosis and anxiety, full of name-dropping and self-doubt, a place where many young writers in poetry, fiction, and literary journalism are made acutely sensible of their precise status on the rungs of People Who Matter. Given how rickety the ladder is these days, they&apos;re not always pleased with what they see. If you go to AWP hoping to sell your novel, or to buttonhole that editor who never responded to your manuscript submission, you&apos;ll probably be disappointed. As Tom Dibblee wrote during the 2014 AWP in Seattle: "AWP feels like a celebration of proximity to writing rather than a celebration of writing itself. All the panels. All the magazines that nobody reads. All the swag. It makes me want to go home, forget my lanyard, and actually write something." The antidote to this skeptical view is to show up not as a writer but as a reader, looking for new books and new writers to love—plus the chance to make friends. At this year&apos;s conference in Tampa, Florida, I got to enjoy myself as Pacific Standard&apos;s ambassador, with the privilege to roam about handing copies of Pacific Standard to all sorts of friends whom I don&apos;t normally get to see. That meant lunching with Lyz Lenz and Stassa Edwards on the wharf, saying hello to the author (and PS contributor) Vanessa Hua, and giving thanks in person to several of the writers who contributed to our "Postcards From America" project, including Patrick Nathan, Hanif Abdurraqib, and Lisa Lucas. For a brief and glorious second I even got to meet Danez Smith, whom Hanif profiles in our 10th-anniversary issue. Along the way, I was lucky enough to plot collaborations with editors at rival publications, and to pinch their freelancers when they weren&apos;t looking. That&apos;s the secret to enjoying AWP: Go there to delight in the talents and successes of other people. If you fixate on your own you&apos;ll be miserable. Updates to stories from the Pacific Standard archive. Climate change has forced diet changes on many animals, including polar bears. As Zac Unger reported for Pacific Standard’s January/February 2013 issue, bears have now learned to eat caribou, goose eggs, and berries on land. 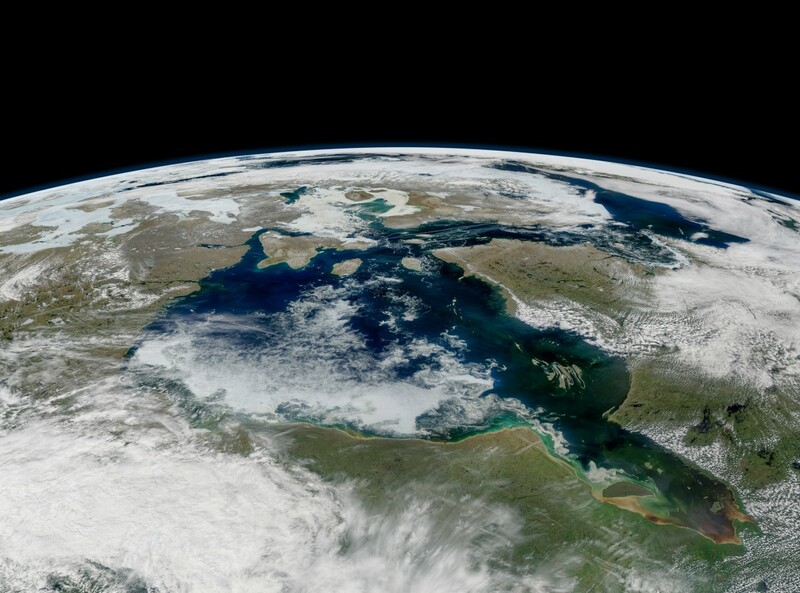 So the polar bears of Canada’s Hudson Bay must have been pleasantly surprised last summer to receive a build-up of ice along the western edge of the bay. That new ice provided local bears with more territory on which they could venture out to hunt fat seals that would normally avoid swimming too close to shore. The hunting seasons and diets of western Hudson Bay polar bears have been of intense interest to scientists recently. Because of climate change, bay ice is disappearing weeks sooner in the springtime now than it used to, forcing bears onto land earlier. Any help from Mother Nature—however temporary—is sure to be appreciated. PS Picks is a selection of the best things that the magazine&apos;s staff and contributors are reading, watching, or otherwise paying attention to in the worlds of art, politics, and culture. Legal Strife in the Valley of the Dolls: Last week, I walked into a toy store for the first time in a while. Lined up along the shelves were rows and rows of Barbie dolls, stacked high. Two boxes out of the 30 in the stack had a small "Curvy" label in the upper-right corner. It was the first time I had seen "body diversity" Barbie in stores with its distinct label and my own realization that this Barbie was only a slightly fuller figure than the one in the surrounding boxes. It’s Barbie&apos;s latest change to stay "relevant" as one of the top-selling toys in the country. I thought back to Jill Lepore&apos;s piece for The New Yorker, "Valley of the Dolls," a story of the battle for the top of the doll industry jolted by the jumbled and complex history of copyright law. Barbie and her main competitor, Bratz, hashed it out in court over key, yet perturbing, questions: Who owns the copyrights to the "attractive" female body (an aspect, which lawyers argue, with only a few variations appropriate for toy-creation)? Is this creation and ideation of the "perfect" female body into toy form protectable by law? The two dolls have vastly different marketing strategies and consumer approach, yet at least one of the two overtly sexualized toys ends up in the hands of most young girls in America. 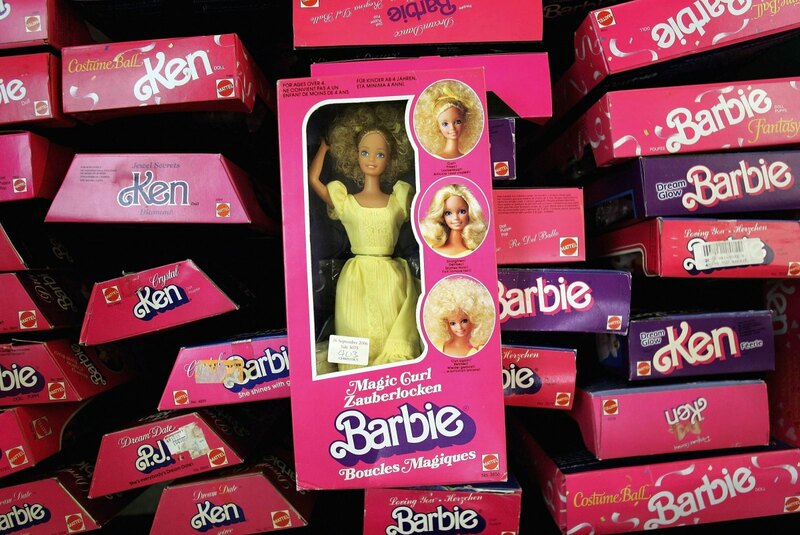 The article examines the built-up appeal of young girls&apos; toys and copyright enforcement of intellectual property, and intertwines it with the ironic fate of the deciding judge on the Barbie v. Bratz case; He was ousted from his spot on the bench several months ago after allegations and complaints of sexual assault in the wake of #MeToo. "The only thing wrong I saw when I held Barbie," the judge said, "is when I lift her skirt there is nothing underneath." Keep Your Quizzes to Yourself: Which ex-Trump administration official are you? What type of shopper are you based on your impulse Target purchases? Truthfully, I don&apos;t care, and I&apos;m pretty sure you don&apos;t really either. But if you&apos;re like me—and, at risk of projecting, like everyone else—your rapturous vanity compels you to take a personality quiz every so often. And while I&apos;m not particularly partial to BuzzFeed, it is important that you take your quizzes on a site you are not logged into. And, in particular, it&apos;s important you take quizzes not on Facebook. Last weekend, news broke from sister publications the Guardian and the Observer of the social media company&apos;s "data breach"—that which allowed Cambridge Analytica, the data analytics firm that worked with the Trump campaign, to come into possession of 50 million users&apos; personal info. The news is especially concerning precisely because it wasn&apos;t a breach in the conventional sense: there were no hackers. Rather, users who opened a third-party app to take a personality quiz were forking over their own personal info, and, unwittingly, also that of their entire friend network, to the app—and, by extension, to Cambridge Analytica. This is yet another helpful reminder that Facebook doesn&apos;t protect your privacy, even when its rules dictating how apps use your data are supposed to protect it. The best course of action is, whenever possible, to not give the company info about yourself. A suggestion for starting on BuzzFeed: Which pizza topping are you? What is your inner potato? This is the info about you that should be shared with the world, not your age, what groups you belong to, and where you&apos;re located. The Interminable Reign of Vladimir Putin: Christian Esch&apos;s insightful piece about Vladimir Putin for Der Spiegel went online a week before the Russian president&apos;s re-election, but the timeliness didn&apos;t matter, because, as the story&apos;s title explains, "How Russia&apos;s Eternal President Has Changed His Country," Putin is timeless. Through his leadership, the Kremlin set a system in place in Russia where the state can seemingly neither live with Putin nor without him. The economy is hurting, and many domestic ambitions have gone unfulfilled, replaced by grandiose visions of conquests abroad (see: Crimea, Ukraine, Syria). The piece illustrates this reality by investigating the on-the-ground realities in the Kuzbass mining region in Siberia, where people reside thousands of miles from the seat of power in Moscow yet feel Putin&apos;s presence everywhere. There is little to no resistance to speak of, and one interviewee spoke of not realizing she lived in an authoritarian state until, well, it was too late: "Natalia always knew that the opposition was suppressed, she says. &apos;But I didn&apos;t care. I was for Putin. I was so ... amorphous,&apos; she says. &apos;You were apolitical,&apos; [her daughter] Ksenia corrects her severely. &apos;A perfect citizen of this country.&apos;" From Putin evangelizing grandmothers to former Kremlin operatives to the small (and largely ineffective) resistance, this piece captures the distressing realities of the Russian political situation—outside of the hand-wringing of American views about Russian election meddling—and it&apos;s one with little change in sight. 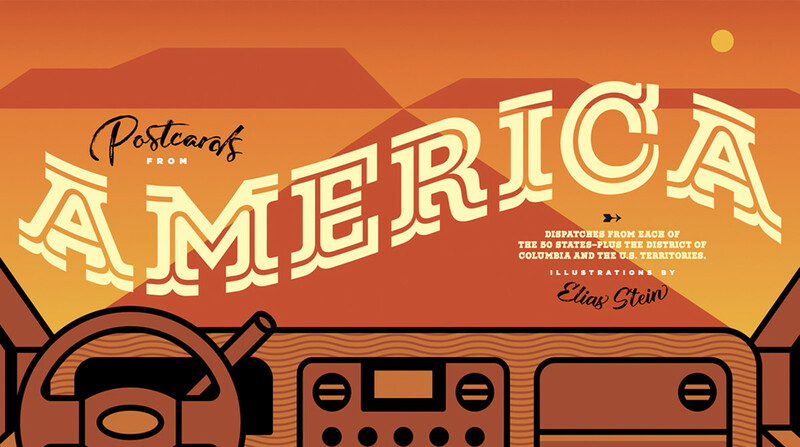 Last week our ambitious "Postcards From America" project became available online to all PS readers. The feature was a compendium of 52 dispatches from each of the U.S. states, plus Washington, D.C., and the territories, and its aim was to create a mosaic view of the current state of our union. The story package was one part of our 10th-anniversary print issue. This is some of the feedback we received on the project, and its specially designed website. The story also received praise from others, including: the University of Hawai&apos;i Press, The Common, Counterpoint Press, Poet Richard Blanco, Publisher&apos;s Weekly, Poets & Writers, and others. You can find all the dispatches from around the country here. And be sure let us know what you think about the dispatch from your state or territory. As PS Premium members receive a print subscription and early access to digital feature stories, you&apos;ll be the first to know about upcoming special projects. If you have any thoughts about this newsletter or our work—what you like/didn&apos;t like/want to see more of—you can reach us at premium@psmag.com. Become a premium member by following the button below. As we continue to build out the benefits of a premium membership to Pacific Standard, we want to hear what would be most valuable to you.